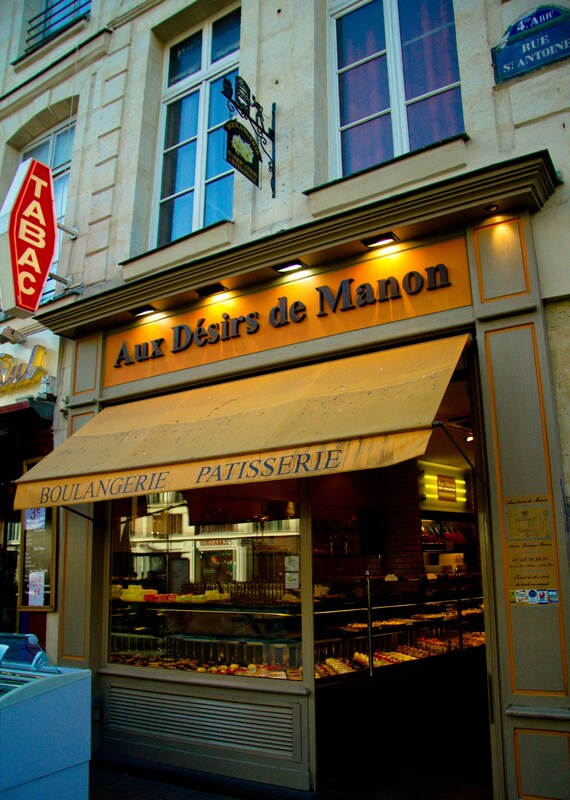 Even if you’re not a food focussed traveller, people who visit Paris will always come away with a fantastic food related memory usually relating to some sort of pastry or dessert. With sweets, desserts and bread usually being an afterthought in my diet, I was curious to see if the pâtisseries of Paris could bring me to the dark side. When Paris went from dream to reality, one of the things I was most excited about was being able to indulge in macarons every day. It’s funny because in the classic question, “sweet or savory” my answer is always savory, except when it comes to gummy candies and macarons. In the past couple of years since the macaron explosion hit North America, whenever I see a macaron I just have to taste it. And although I’ve had some really great ones, more often than not I’ve been disappointed. I mapped out where the places around Paris I wanted to try and even thought that I’d sample a macaron a day. That idea got somewhat sidetracked when I discovered that there was so much more to Parisian sweets than the search for the perfect macaron. Fighting jet lag on my first morning, I wandered out on the streets a bit before 8am only to find that none of the bakeries were open. 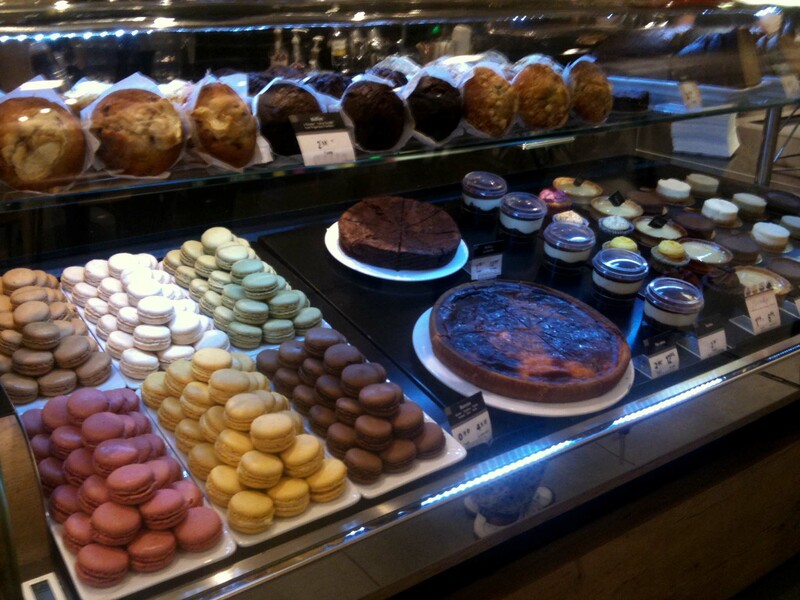 I did pass by a McDonald’s Café which displayed these fabulous looking treats. As much as I wanted to try a macaron, I knew that I’d be doing my search injustice by setting the bar so low. 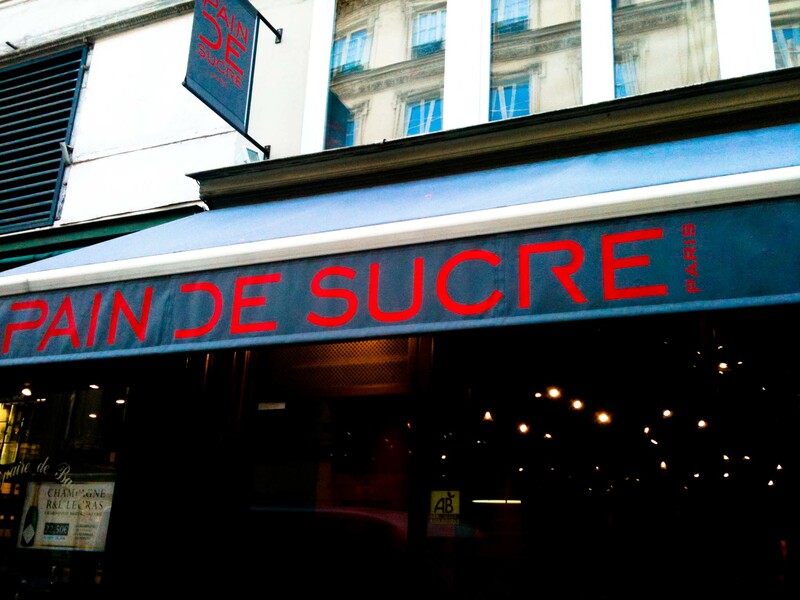 Pain de Sucre has 2 shops – 1 for baked goods, the other for sweets. Both were a block from my apartment = regular visits to both. 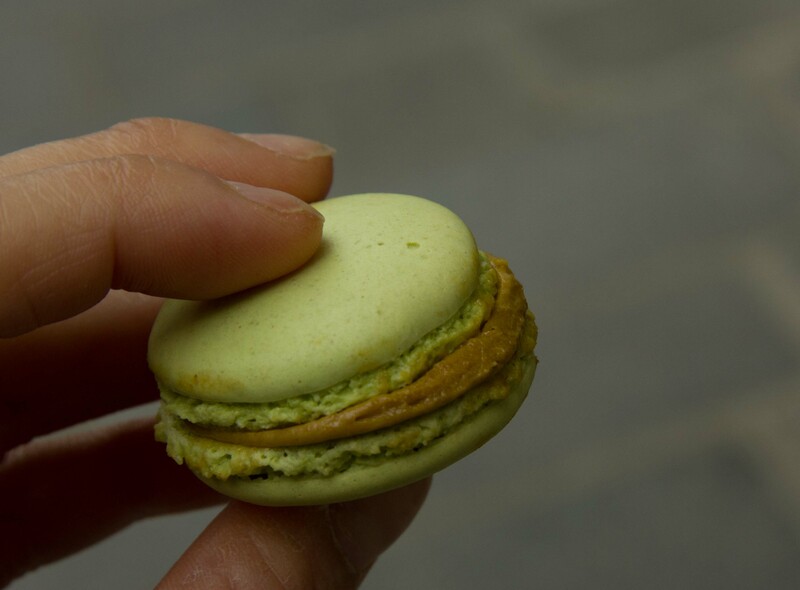 The pistachio macaron, (on top) is my favourite flavour and thus the standard for judging. This was as good as the best macaron I’ve ever had. It made me worry a bit. Did great = great and was I going to be able to judge “best ever”? 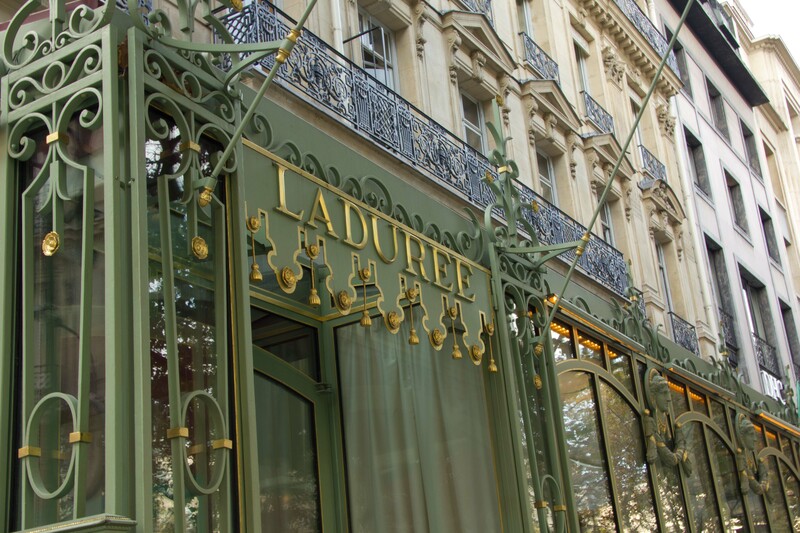 Of course Ladurée was a must. 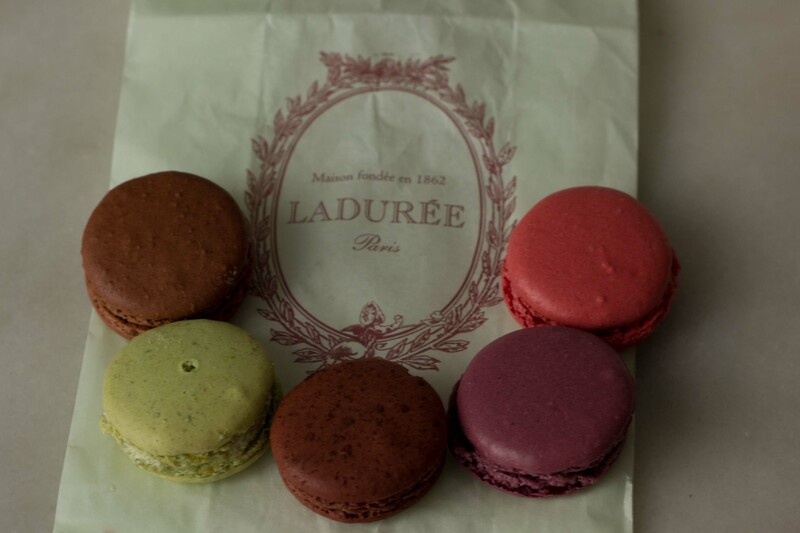 Often dubbed “the best macaron in Paris”, I found the hoity toity attitude of the salespeople combined with the hoards of tourists a bit off-putting. But are their macarons worth the hype? I scarfed the pistachio one down immediately and was very impressed. I thought these were also amazing. But hands above more delicious than anything I’ve ever had? Probably not. The “problem” with macarons though, is that you can’t buy (or eat) just one. I started to find a flaw in my quest in that if I was going all out to try macarons, I’d be limited myself to just one sweet indulgence in a city of so many. I was pondering my quandary when I stumbled upon the most delicious treat. 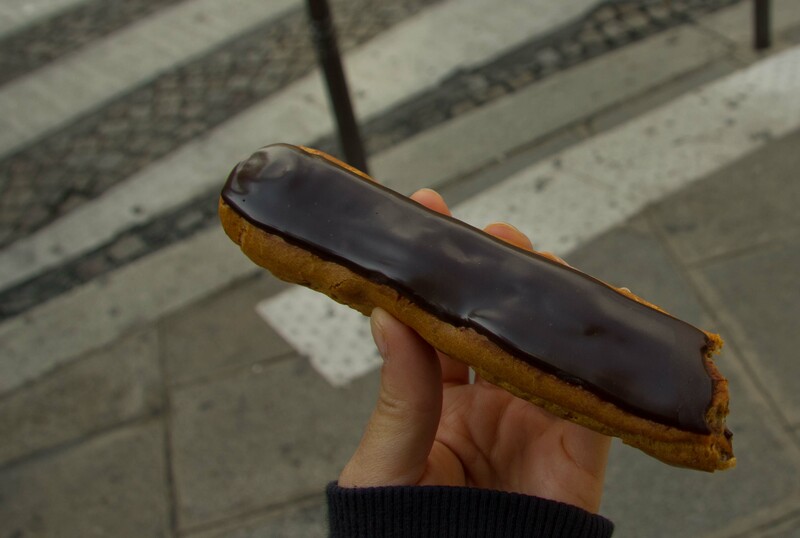 But these éclairs aren’t like the ones back home which are mostly dough and filled with bad cream. This was light and crispy, topped with a thick chocolate icing and filled with the most decadent chocolate filing. It was so good I barely made it out of the store before I wolfed the whole thing down. And because once I find something I like, I can’t stop focussing on it. 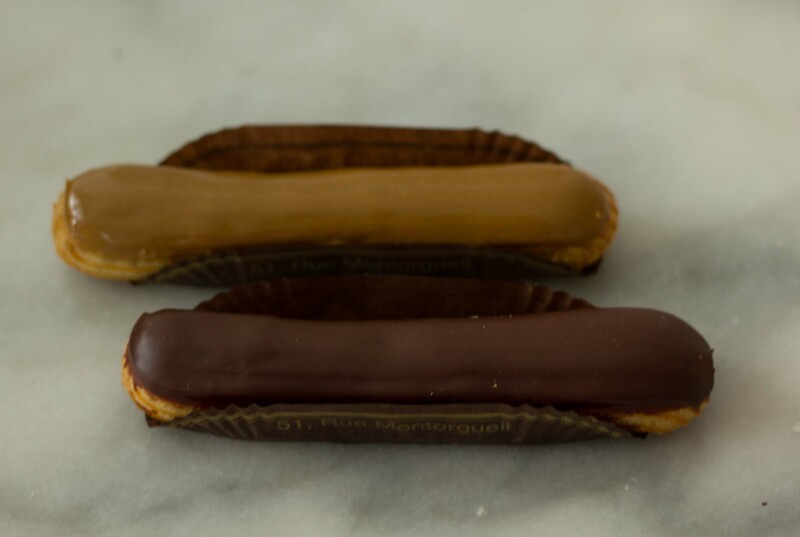 Stoher’s chocolate éclair wasn’t as mind-blowing as the one from La Maison du Chocolat, but the coffee one was the perfect pick me up after a rainy day in Paris. 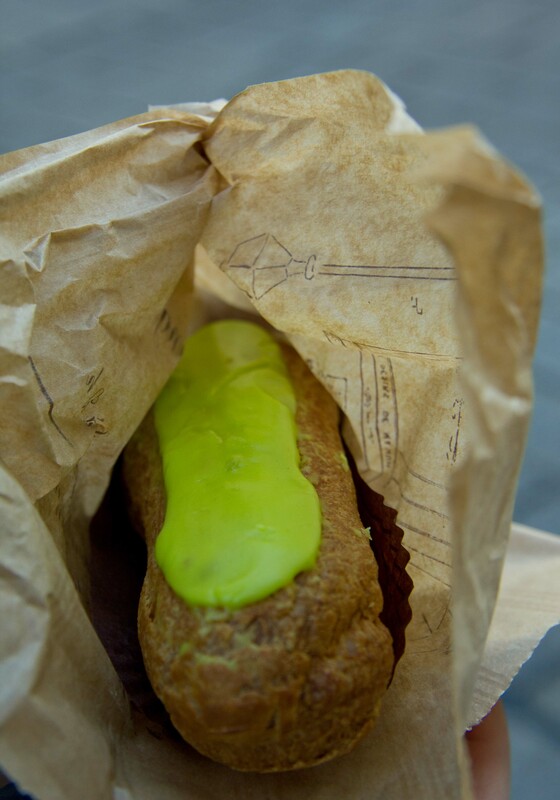 Wandering to the Bastille early one morning, I noticed that this pâtisserie was on my list for something special. Pistachio éclair! How’s that for combining 2 fabulous things? 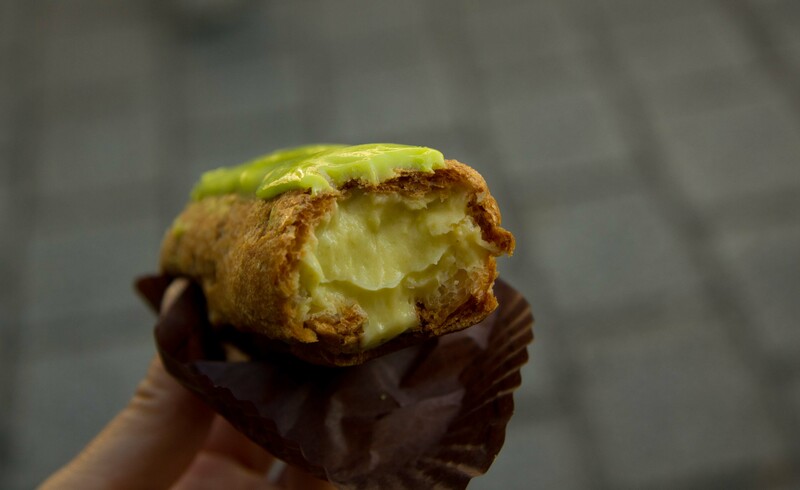 The pistachio filling was good, but there was a bit too much of it. 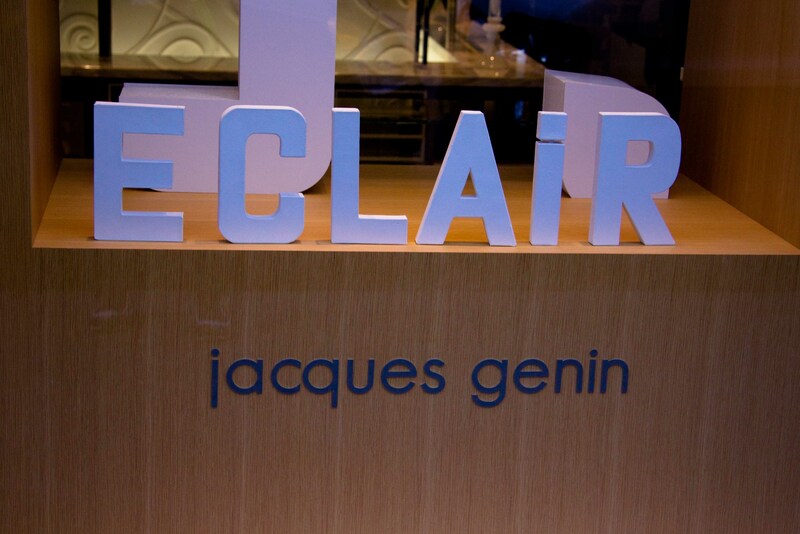 Goodness, after only 2 days was I becoming an éclair snob? By abandoning my macaron quest, I enabled my tastebuds to experience all kinds of pleasurable sweets starting with éclairs but branching into so many other amazing confections. 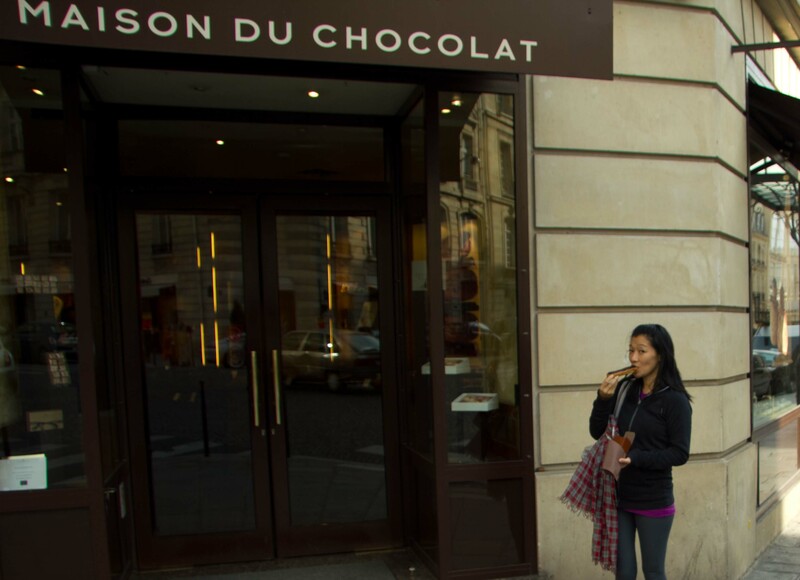 Chocolate shops in Paris seem almost as unapproachable as a fine jewellery store on Rodeo Drive. But getting past the snootiness is really worth it because the chocolates & caramels in these places are to die for. 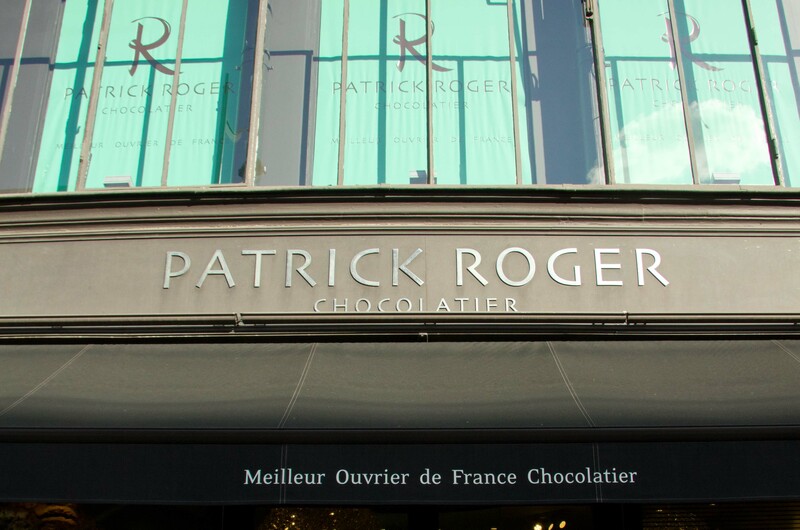 The chocolates including the rochers made my eyes close so I could concentrate fully on the rich chocolate flavour. 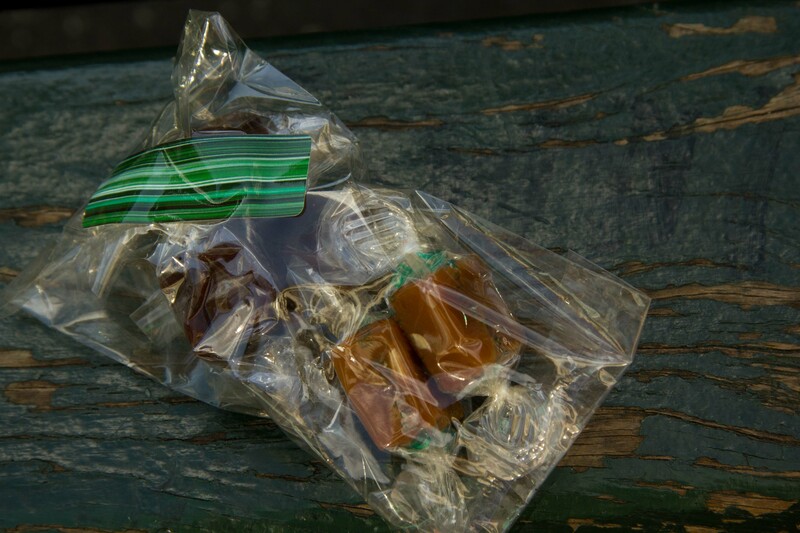 The sea salt caramels shocked my eyes wide open with delight. 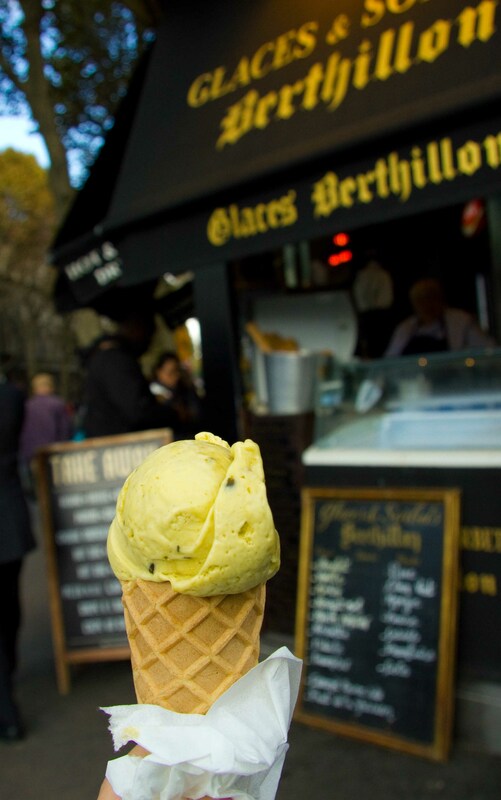 When I reminisce about “the best ice cream I’ve ever had”, I remember the copious amounts of pistachio gelatos I consumed while in Florence. Nothing’s ever compared to its creaminess or pistachio-y-ness until this crème glacée. 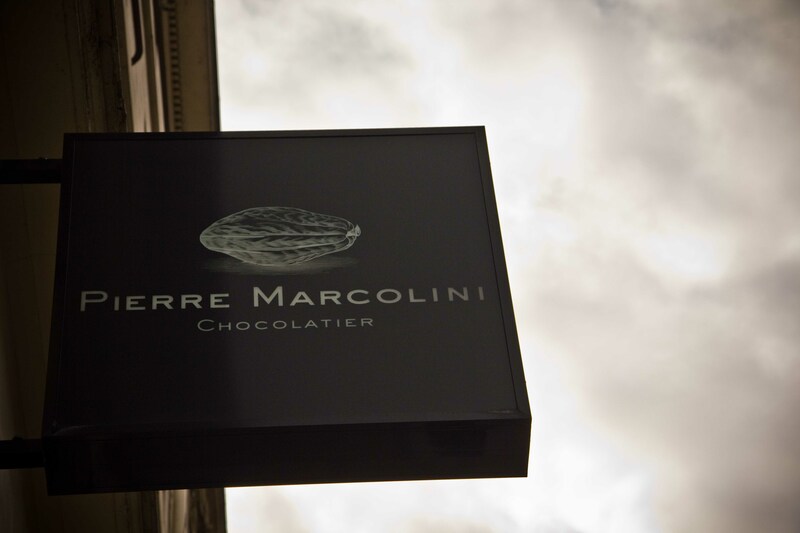 And just when I’d give up on my search for (what I thought was) the best macaron in Paris, I stumbled upon Pierre Marcolini in search of chocolate covered marshmallows, (which they didn’t have). But they had free samples of pistachio macarons. Unfortunately I was far away from the store before I sampled it to realize how good they were! 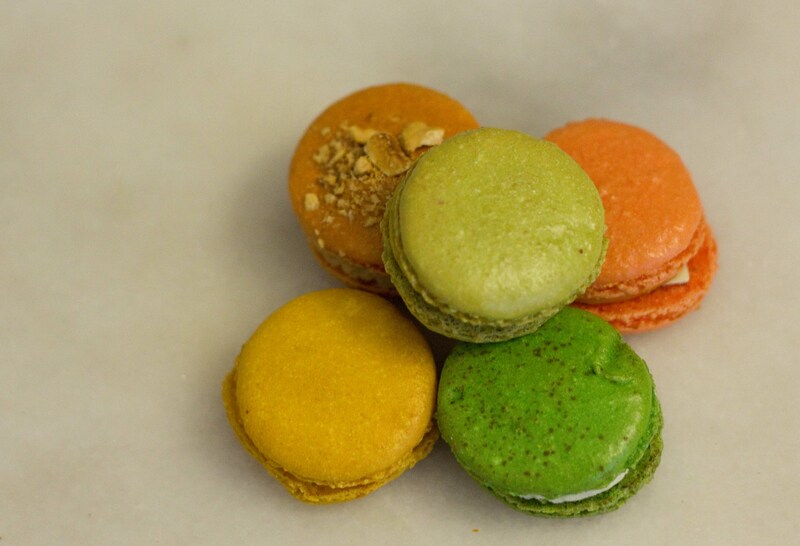 Don’t ask me why I thought this Pierre Marcolini macaron was the “best” I’d ever had. Maybe it was because I wasn’t expecting to find it, maybe because it was free. It’s funny how little treasures are found when you least expect it. Life is sweet.